OTTAWA - Federal Liberals are boasting that they broke a bunch of fundraising records in the last three months of 2013 — raising more money than they've ever done before in a single day, in a month and in a quarter. Even so, they're unlikely to achieve their ambitious objective of topping the Conservative party's formidable fundraising machine during the fourth quarter. The Liberals say they raised more than $4.3 million in the last quarter of 2013, with final numbers still to be calculated. The Conservatives have yet to disclose their haul but on average over the past six years, the ruling party has raked in $5.1 million in the fourth quarter. Even if they didn't raise a dime in the last three months, the Conservatives are in no danger of losing their title as champion fundraisers for 2013 overall. In the first nine months of the year, the Tories raked in $12.8 million, compared to the Liberals' $6.9 million and the NDP's $4.5 million. The Conservatives have been undisputed king of the fundraising hill since 2004, when individual donations were dramatically restricted and corporate contributions to political parties were banned entirely. However, the Liberals have been closing the gap since Justin Trudeau took the helm last April. In December, the two parties engaged in a fierce battle for fourth quarter fundraising supremacy, frantically sending out almost daily email pitches for money. The Liberals started the battle with a campaign to raise at least $1 million over 12 days before Christmas, an amount the party calculated was necessary to surpass the anticipated Tory haul. The Conservatives countered with a campaign to raise $2 million by the end of the year, warning supporters that the party's success depends on its continued ability to consistently raise far more money each year than its rivals. "Justin Trudeau and the Liberals have made fundraising their top priority and they are working hard to close the gap. We cannot let that happen," Conservative party president John Walsh said in one email blast. The NDP also joined the year-end scramble for money, aiming to raise $750,000 for the month of December. The Liberals' $4.3 million haul represents the best quarter the party has had since restrictions on donations went into effect 10 years ago. It includes the party's best take in a single day — $614,145 on Dec. 31 — and its best take in a single month — $2.9 million in December. Moreover, the party says more than 43,000 Canadians chipped in during the last three months of the year — almost as many donors as contributed to the party over the entire year in 2011, which was an election year. 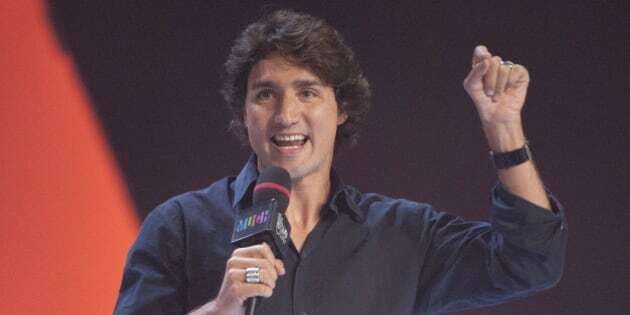 While those record-breaking results will likely still fall short of the Conservatives' fourth quarter haul, Liberal national director Jeremy Broadhurst said they are "a great indication of how Justin's message is motivating and exciting Canadians across the country." "It definitely puts us in the (fundraising) ball game for the first time."